As a viable energy source, solar has been making its way towards sustainable growth. 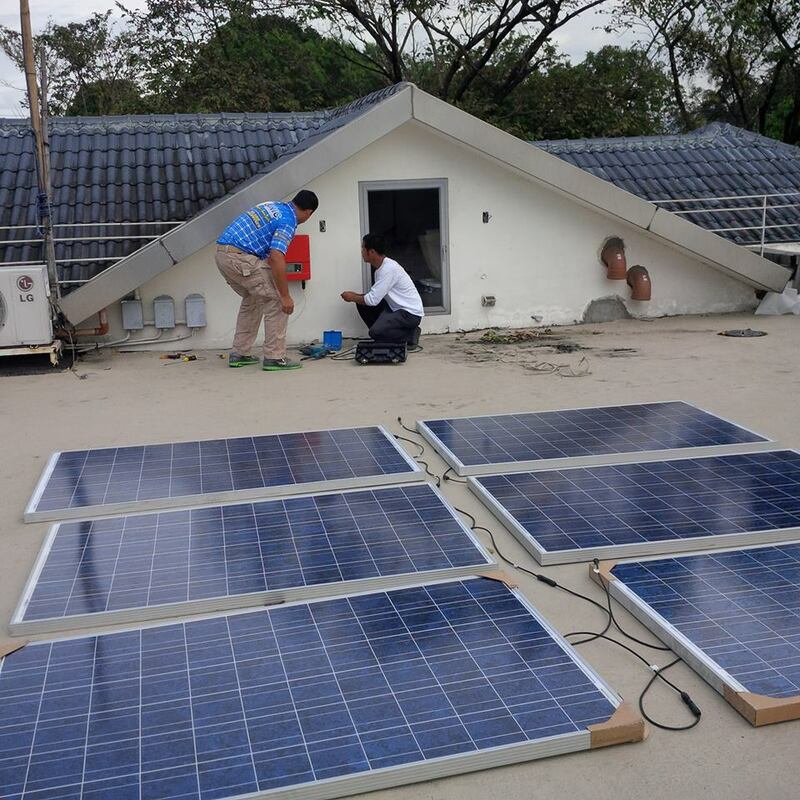 It has provided a number of tangible and intangible benefits thanks to its solar panels for business in the Philippines. By doing so, homeowners are not the only ones who gain from using the power of the sun, but big and small business owners as well. It has enabled small, medium, and large scale businesses all over the country to see the impactful advantages and economic benefits of a solar panel installation for their investment returns and overall profit generation. Synergy is defined as the interaction or cooperation of two or more organizations or substances in order to generate a combined effect that is greater than the sum of their separate effects. Integrating the potential of solar energy to your overall structure may well be the best investment you can ever have in terms of sustainability and profitability. With solar panels, it will be easier to recognize its power and vast potential as an alternative energy source for any business in the Philippines. There are a hundred different ways your business will increase its potential by installing solar panels at its premises. Take a look at how you can maximize your solar panel installation to generate a great return on investments and growth for your business. Continue reading below! The Philippine economy is hardly stable. There is no saying when it would fluctuate and negatively affect your business enterprise. But with solar technology, you can still get ahead of your competitors since it has continued to innovate as well as subject itself to constant practices in order to accommodate specific requirements for a wide array of applications. It has also been constantly updated to be used by commercial industries. In the business industry, solar applications remain uncontested when it comes to their remarkable power to provide an alternative energy source that ultimately benefits organizations worldwide. For commercial applications, solar panels tend to be larger in scale. Plus, it provides various avenues that can prove that energy consumption can become a sufficient investment for an industry. The difference between residential and commercial solar applications do not stop at the appearance of the panels as installed in properties. As energy consumption in businesses is significantly higher than that of residential properties, there is a specific need for the panels to cover as much area as they could with no regard to the quantity of the solar panels installed. 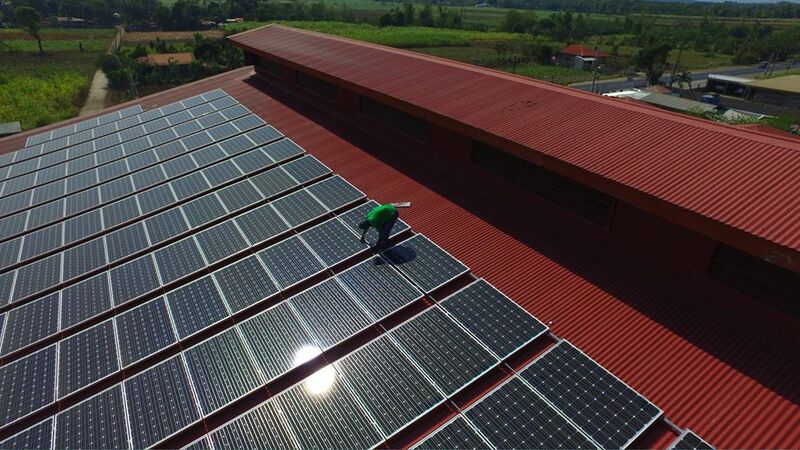 To harvest energy from this sustainable alternative energy source, solar panel installers aim to maximize solar systems in the Philippines to its full extent in order to ensure that the energy generation is a contributor to the improved operational capabilities of the business and not as a cause of hindrance. 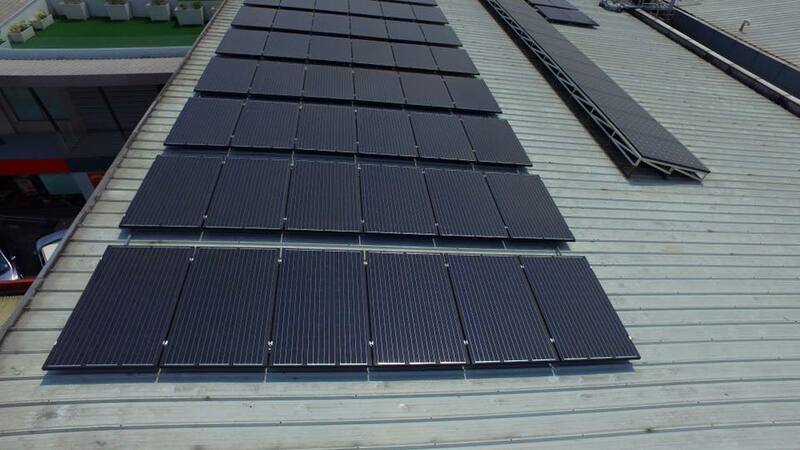 In the Philippines, solar panels for business are designed to deliver higher efficiency as an energy source. This is why more and more organizations are looking into it as an investment for their business model. Not only is it an effort to contribute to green initiatives, but it is also a likely source of return on investments that could be a catalyst in the steady progress of a business towards their goals. With high-efficiency ratings, businesses are now keen to employ solar commercial applications to their area, making this a sought-after asset for organizations. Solar systems have gained the much-needed traction and visibility to be a sustainable energy source. The number of reasons to include a solar panel for business in the Philippines has been growing but, for now, we will focus on the most common ones to finally figure out why you should include them in your business strategy. Check them all out below. Lowering energy costs while significantly reducing your carbon footprint emission is the prime consideration you have in installing a commercial solar power installation. The developments involving this practice is a contribution to the efforts promoting energy cost reduction. There is more to energy reduction than minimizing your consumption, it can also generate huge returns of investments as well as improve the potential of your business to expand its range of growth in the industry. To accomplish energy goals, your business’ solar panel installation in the Philippines needs to be as effective in promoting energy cost reductions. Solar power for businesses tends to overlook the significance of solar power in their business when they should think otherwise because electricity costs bear a large weight on operational expenses and savings. Solar power is the best energy source you can ask for. For starters, the sun is always there (and it is not going anywhere any time soon), providing your business with the energy security that it needs. A secure source of energy is exactly what you need for your business since business is ongoing even when an operational day is long gone. Solar panels help your business stay connected with a well-balanced energy security. With solar panels, you wouldn’t need to be burdened with worries of maintaining energy production. It is reliable in producing clean energy for your office which could be a positive attribute of the business. The benefits of a solar panel installation are astounding in their scope and you wouldn’t even have to put in much effort in helping this turn into a daily occurrence. The low maintenance quality of energy production provided by solar panels is what makes it an attractive investment not only for residential properties but for businesses as well. Going to the topic of a sound investment, the low maintenance quality of solar panels makes it stand out from other energy sources since it is indiscriminate of the conditions that your area may be subject to. Another sustainable property of solar panels is it can be useful for any business, be it an engineering company, a manufacturing plant, or an office space in the Philippines. Solar panels for businesses are rapidly becoming the main consideration for investment, and rightfully so due to the advantageous impacts it can give to various organizations. When it comes to solar panel installations, you are presented with a variety of options on how you can go about it. With terms such as a grid-tie, off-peak, or net metering seemingly popping up in terms of this discussion, it would be a great help if you are presented with the essential information you will need in ensuring that your solar power installation is a success. Whether you choose to produce energy in one way or the other, keep in mind that the advantages for businesses will still remain the same with a longevity that is unmatched. This type of solar panel installation is the most common among solar system users. Grid-tie also goes by the names of on-grid, utility-interactive, grid inertia, or grid-direct. This works by generating electricity through the Photovoltaic (PV) system. It will, then, be routed to loads—the components that are responsible for power consumption (e.g. electrical appliances). With grid-tie installations, there is the presence of offsetting in the utility electrical load of your business in the Philippines. Solar panels are typically installed in this application with the promise of Net Metering that can help in revenue generation. Self-consumption is the independent means of energy generation where the commercial enterprise consumes the energy generated by the photovoltaic system for that exact purpose. With this type of installation, there should be an understanding that the energy produced by the PV system should be fully consumed. This type of solar panel installation means that the system you are employing is completely disconnected from the utility grid. The energy configuration for this installation involves a solar array, solar chargers, batteries, and controls. With this, there are additional benefits that are promoted in order to meet all of the prescribed power requirements. In addition, generators can provide more autonomy that can accommodate heavy loads; there is a significant reduction in the time that you spent charging the battery of the system. The reason why commercial solar power is greatly accepted by many businesses locally and internationally is because of its intangible benefits as well as the significant effects it delivers to a business structure. With a reliable and efficient solar panel provider, you can enjoy all of these advantages with more room for guaranteed improvement. 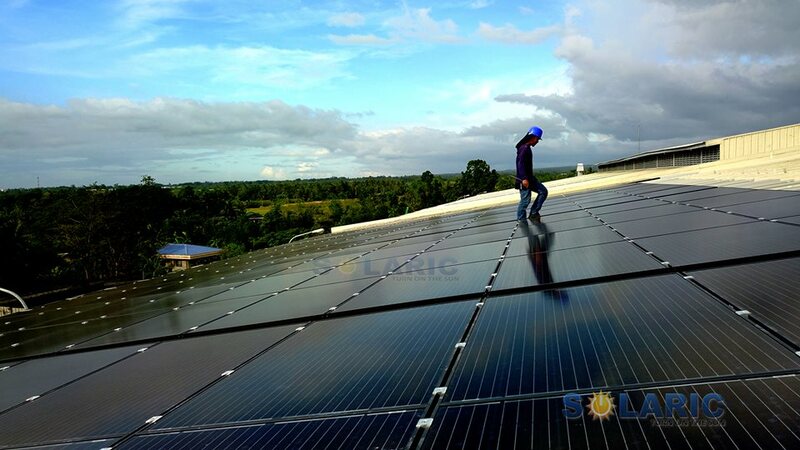 See all of the benefits here so you can get more information to consider installing solar panels for your business in the Philippines. Business thrives on revenue generation. In this regard, solar panels help increase the potential of this quality. Solar panels can increase profitability for your business by reducing electricity and utility costs. Because of this, you will be able to transfer the supposed expenses for these costs to departments that need attention financially. Operational costs can be improved with the help of solar panels for your business in the Philippines. Aside from this, you can increase profitability for your business by doing more for the environment, avoiding the possibility of breaking environmental laws which could cost you in the long run. Businesses have a great amount of energy consumption during the day with the exception of those who operate around the clock. Consuming energy throughout the day is the peak time for utility rates. The great thing about this is solar panels will be able to work to its full extent because they produce the most amount of energy during this time. This gives business peak purchasing power which they can use to their advantage. The presence of solar power in organizations can improve the accuracy and productivity in operational practices. This is because solar energy expands the means of having a secure and sustainable energy source for all especially when operations have a great need for it. Productivity levels are significantly heightened to generate the high return of investments as well as a progressive operations management. More investment for the organizations’ services will require a huge amount of accuracy and productivity which, in turn, motivates people to fulfill these requests. Utility expenses take up a big chunk of operational costs. With solar power, there would be sustainable growth geared towards the progressiveness. 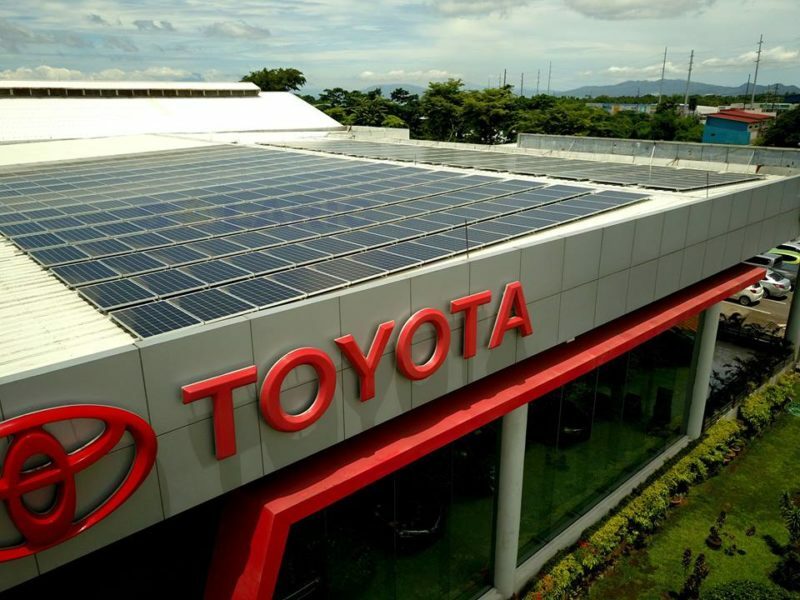 Switching to solar panels for businesses in the Philippines can spur significant changes in the financial strategy of the company. The reduction of energy consumption costs is what makes this a viable solution in designating allowances for operations. This makes all the difference in sustaining the growth of the company towards their business goals and, ultimately, to their greater success. Clients and employees alike tend to seek sustainable companies with great regard for the environment. Switching to solar power will champion the advocacy of coming up with clean and green initiatives which will be great for the company’s image towards being a societal asset in terms of their organizational practices. There will be an inclined additional purpose to work for the employees’ side because they will feel accomplished with how they are working towards having a society that is more environmentally aware. With our expertise and commitment to sustainable energy solutions, Solaric provides an easy access to success in the business sense. Longevity paired with profitability—this is a great way to utilize the solar panel installation towards business growth and sustainable return of investments. Going solar will prove to be beneficial for your business as evidenced by the four 5’s of profitability: 5 years or less ROI, 5x over payback, 5-year standard warranty, and 5 days or less to install. Solaric panels have a shelf life of up to 25 years. We know how much businesses value investments so. With this in mind, we will strive to give you the best service you could ask for. Consider having a solar panel for your business in the Philippines and connect with us today. Get a quote today and learn more information about your future installation!